Nowadays, I love making salads, not just because they are easy and fun to eat but I also enjoy playing around with different textures, colours and flavours. I don't follow any recipes when it comes to salads - I just love to experiment. Sometimes, the salad comes out really colourful and yummy, on bad days, it can turn out not so great. Here's one that came out so delicious that I can't wait to make it again! 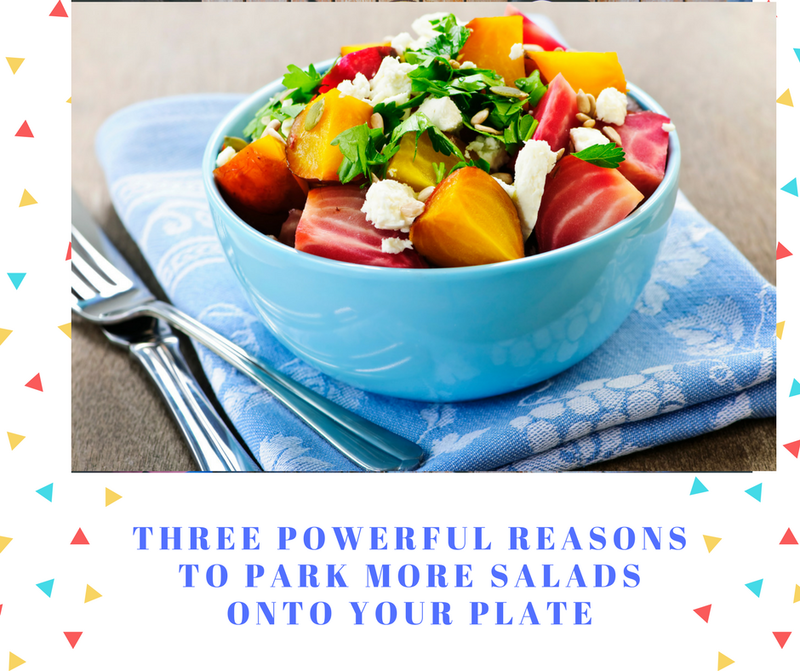 If you are wondering what the health reasons are for eating salad, there are plenty, but I am going to share the ones that matter to me. The good thing about salads is that they are packed with fibre, which is known to keep your cholesterol levels in check. Plus, it enables your system to eliminate toxins faster. The reason why salads are a must-have in our daily diet is because you can pack in the best nutrient-rich veggies on to your plate at one go. Having more greens in your daily diet ensures that anti-oxidants (which protect the body from the harmful effects of certain molecules known as free radicals) keep your health in a good condition. Life-threatening illnesses like cancer are on the rise, also due to our sedentary lifestyles and careless intake of junk food. Numerous studies are being undertaken worldwide to document this. 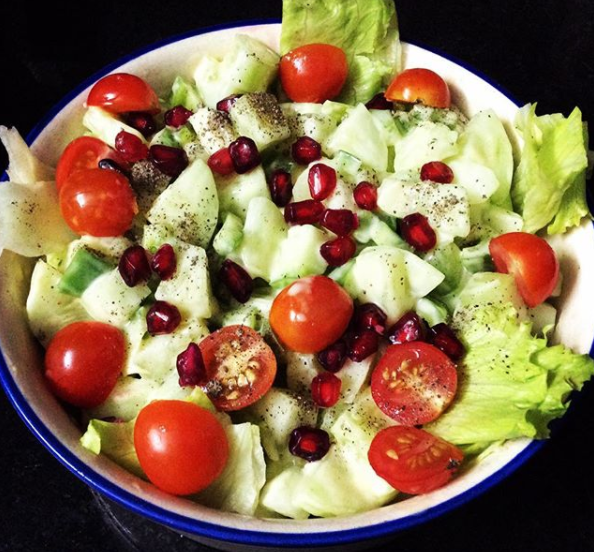 Now, take a look at my ''Colour Pop Winter Salad'', it was easy and yummy to make - my guests loved it. I put together cherry tomatoes, cucumber, pomegranate and lettuce leaves and seasoned it with salt, pepper, and sour cream. It turned out great. Sour cream is optional - so for those of you who don't like the taste, you can just skip it. If you want to make it tastier, you can add fried chicken nuggets or sausages (cut it up into strips) and add it to the salad before serving. The trick is to make sure that you get the seasoning right. Do you love experimenting with food in your kitchen? Are salads a part of your daily diet? If yes, how about turning more creative with it and making your guests go ''Wow!'' If not, make 2018 the year to get started with salads - maybe something simple to begin with and you can get crackling in no time!